Your Silhouette has a variety of different uses. Throughout the next couple weeks, we will be showcasing the Silhouette Series: all the different ways to use your Silhouette. Cutting Vinyl with Your Silhouette is easy and fun. Vinyl is the perfect way to add your designs or favorite quotes to the walls in your home, photo frames or projects. 1. Be sure to change your blade cap to the blue cap. 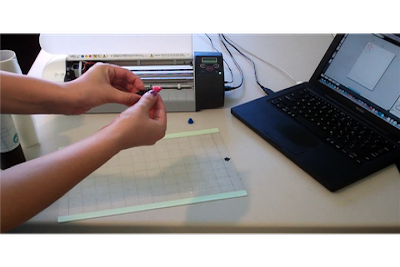 The Blue blade cap is designed for our thinner media such as vellum or vinyl. 2. 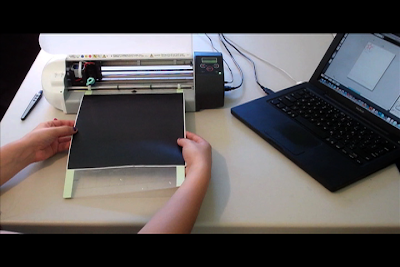 I am going to have on hand one roll of black vinyl and one roll of transfer paper. 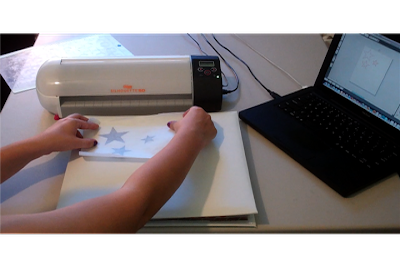 The transfer paper is important to be able to transfer your design after being cut to the appropriate project. Premium Vinyl is a stronger adhesive, which you can still use for indoor use, but is also made for outdoor use. 3. 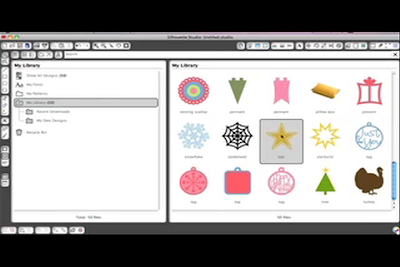 Next, I am going to create my design on my computer in the Silhouette Studio Software. Today, I have chosen to use three stars from my library, in order to decorate the cover of my scrapbook. 5. Once your Silhouette is done cutting your design, remove your media from the machine. Now remove the access vinyl, so the only vinyl that remains on the vinyl backing is your design. 6. 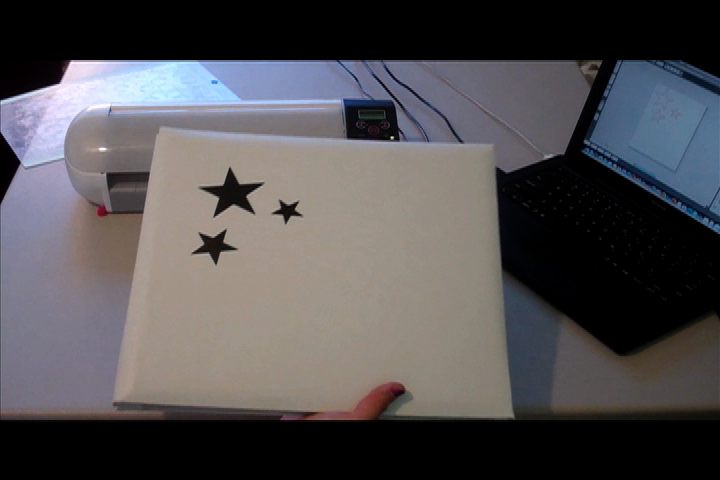 Take a piece of the transfer paper and cover your design. Use your scraping tool to smooth the transfer paper to the vinyl. 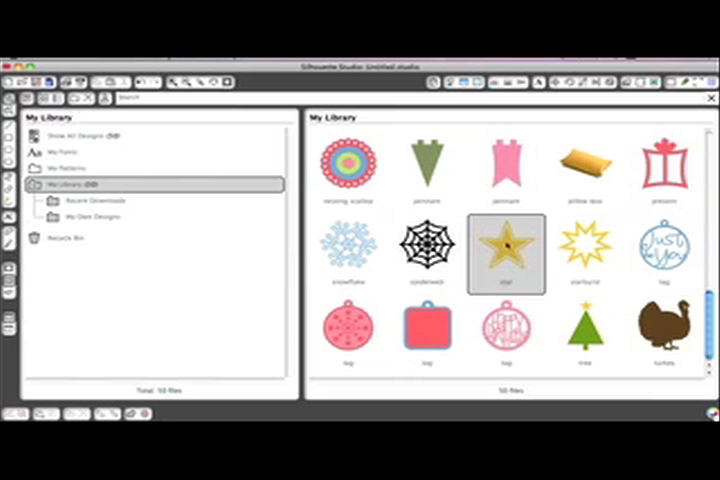 This will help keep your design in place so you can arrange to your project. 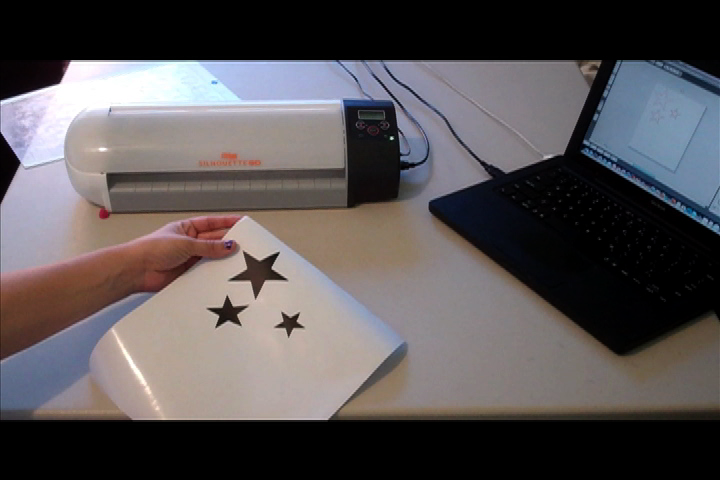 Take your transfer paper, with the design and place on a smooth, clean surface. Use your scraper tool to scrape the design from the transfer paper. 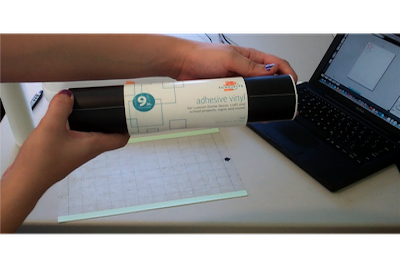 Slowly Remove the transfer paper, making sure all of the vinyl is firmly stuck t your project. Let us know what your favorite Vinyl Project is! Check back with us for more on the Silhouette Series.